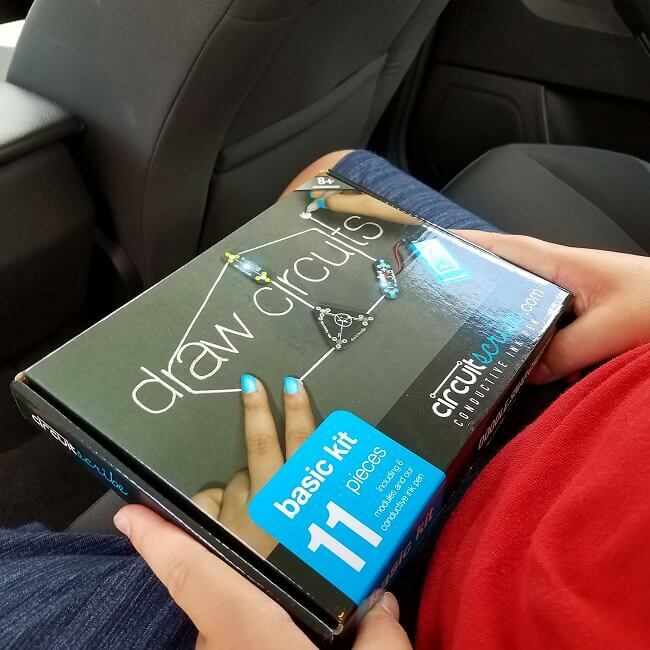 Electrify your child’s next road trip with Circuit Scribe STEM educational toys available at Best Buy. These toys will keep them entertained for hours allowing you to drive in relative peace. The best part is they can actually learn something useful like how to build a basic electrical circuit. My son literally hasn’t put his down since our last vacation. I can’t tell you how much I enjoy him taking an interest in science. Circuit Scribe makes learning basic electrical concepts a lot of fun. As a former automotive technician, I know just how boring electrical courses can be. If my teachers were equipped with Circuit Scribe in the classroom, I could have learned much of what I learned in basic electrical in less time and while having loads more fun. Boredom is a like a resistor to knowledge. It makes it harder for information to flow to the brain. 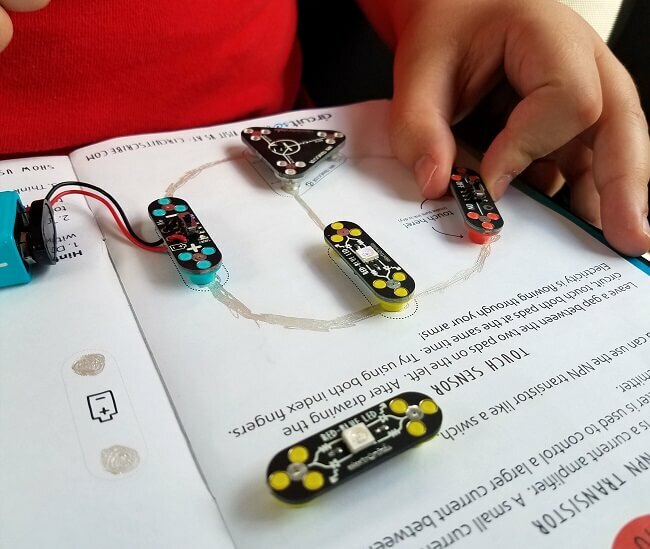 When I saw my son’s eyes light up after completing his first electrical circuit I knew Circuit Scribe flipped the switch and turned a relatively bland subject like electricity into something fun and exciting. 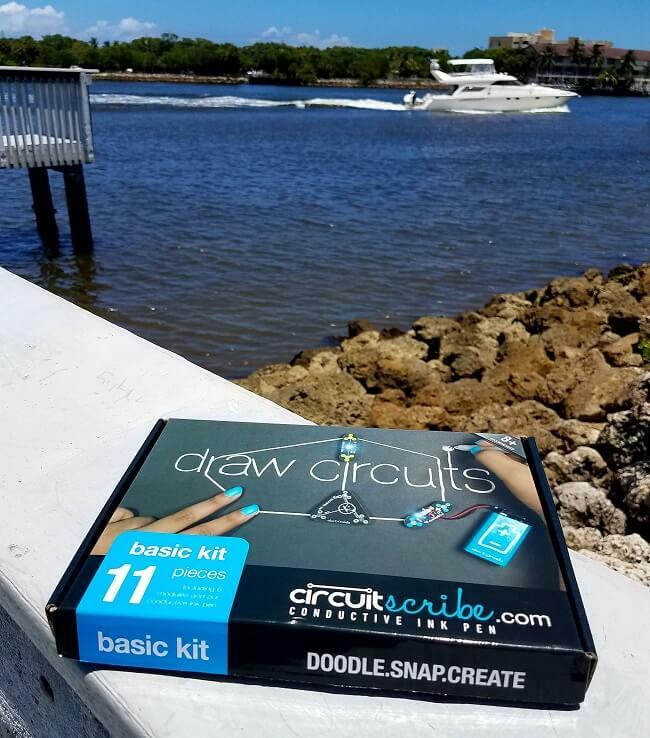 Circuit Scribe Basic Kits come with 11 pieces. Along with an easy to read workbook, it comes with everything your little learner will need to create a basic electrical circuit. Inside you will find a power source, transistors, resistors, switches, and LED lights. You will also find a conductive ink pen (my favorite part) and a steel sheet to write on. How it works is you slip the steel sheet under a page in the workbook and use the pen to draw the wires of a circuit. Next, you place your power source in the marked spots and add components. You’ll know you’ve completed a circuit when your LED light starts to shine and your kid’s eyes light up. It’s the best thing ever! 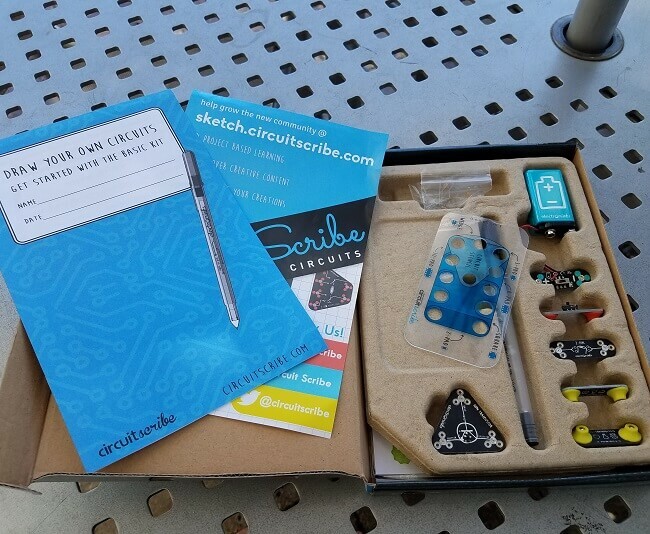 Circuit Scribe STEM Learning and Educational toys are recommended for kids 8 and up. STEM stands for science, technology, engineering, and math. These games and toys are great ways to encourage learning some of the core principles of these areas. Circuit Scribe is perfect for stimulating young brains and helping kids to develop logic and problem-solving skills. 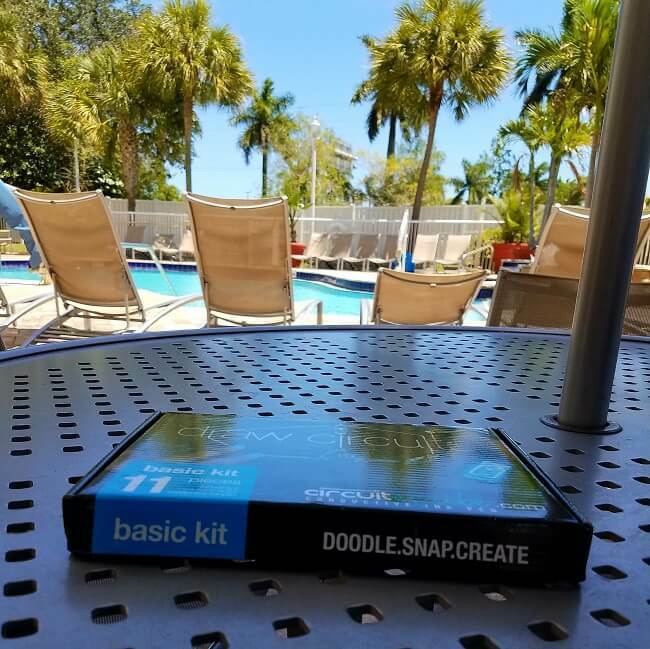 Whether you want to keep the young uns occupied on a road trip or at home this product is sure to do the trick.